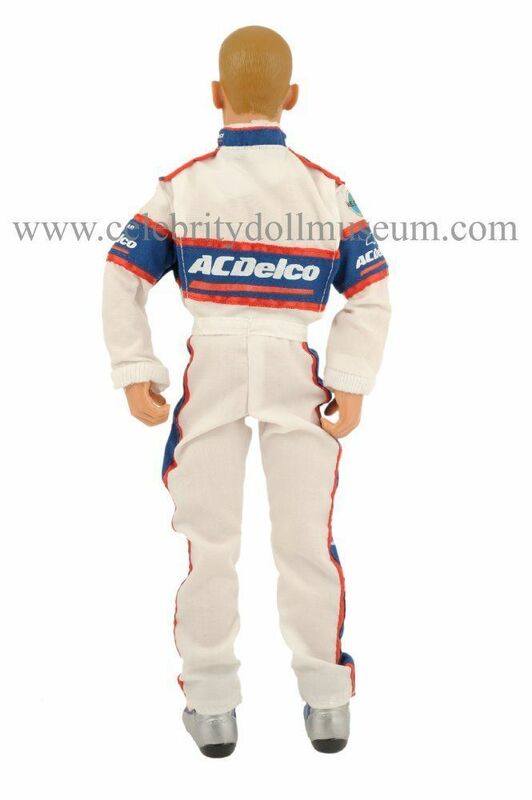 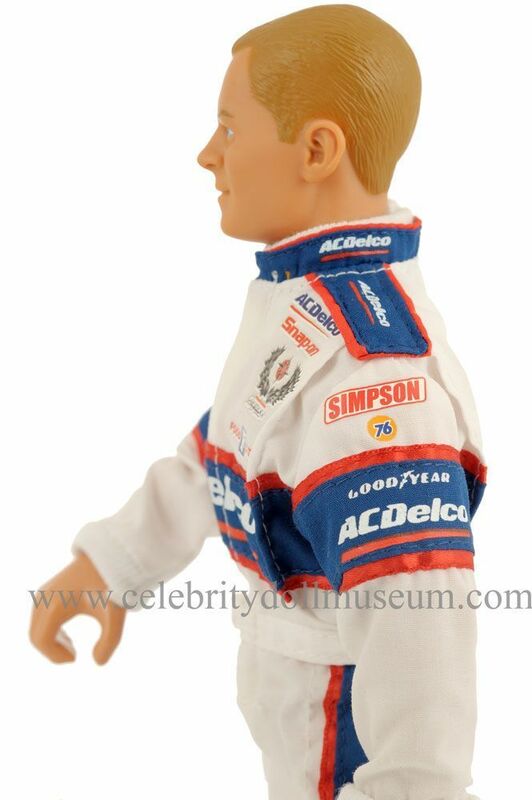 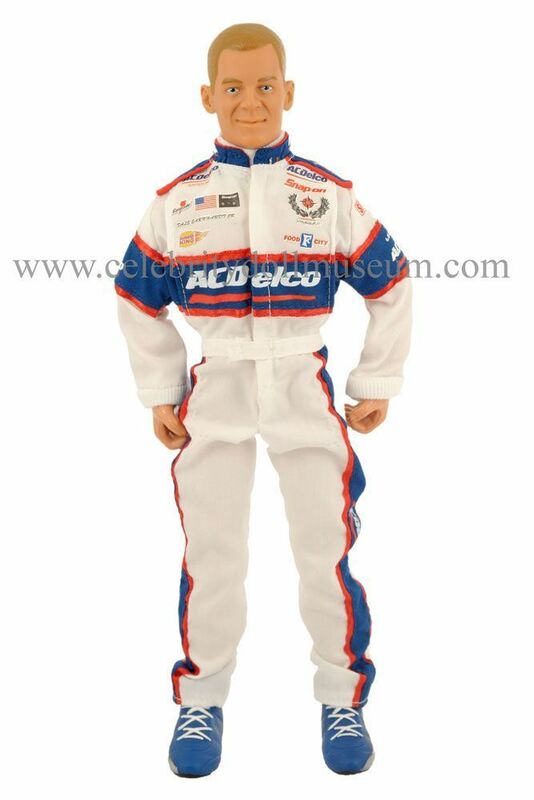 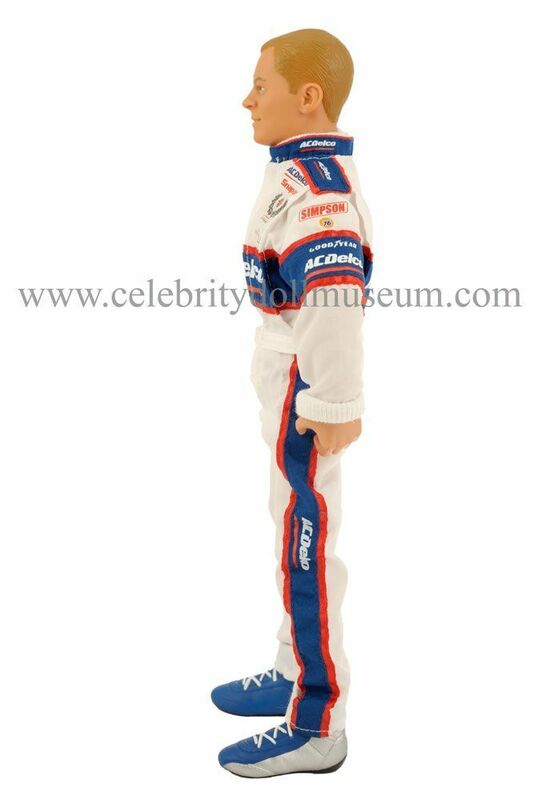 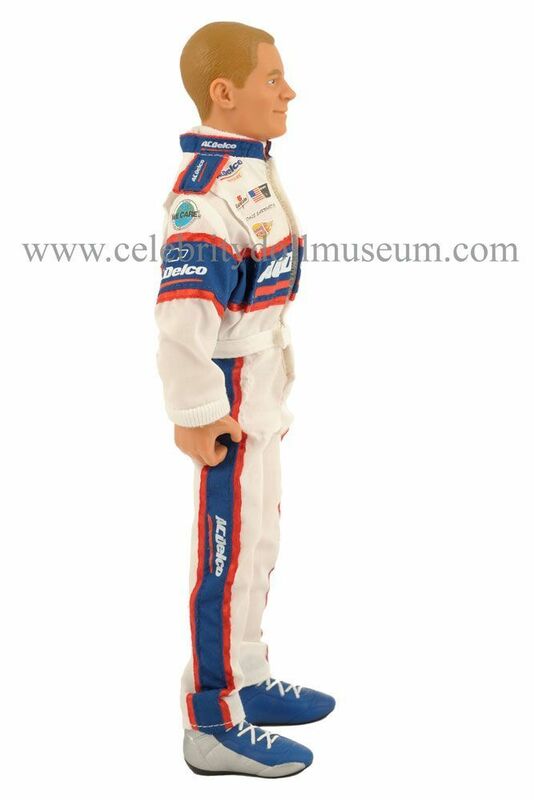 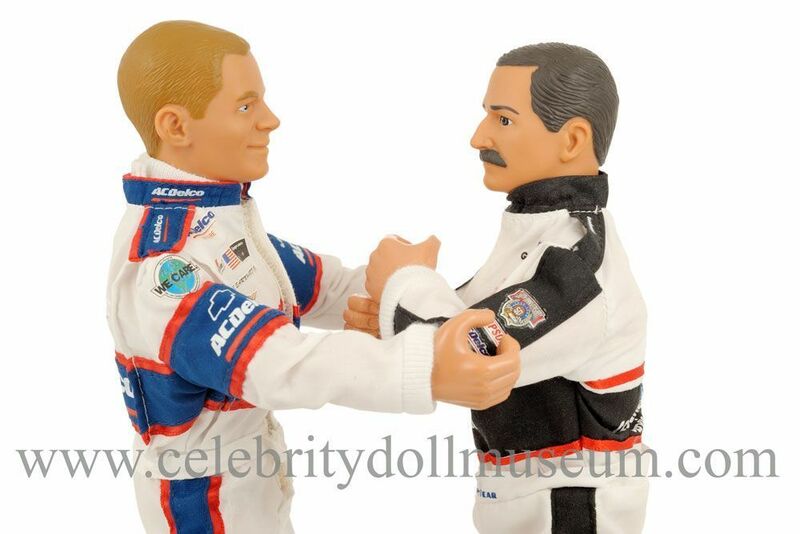 The Dale Earnhardt, Jr. celebrity doll depicts him as himself, a NASCAR driver. The doll was made by Hasbro in 1998 as part of a Starting Lineup Winner’s Circle set for the 50th Anniversary of NASCAR. 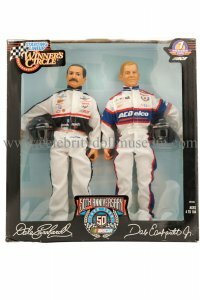 This figure was package as a set with a doll of his iconic racing father, Dale Earnhardt. 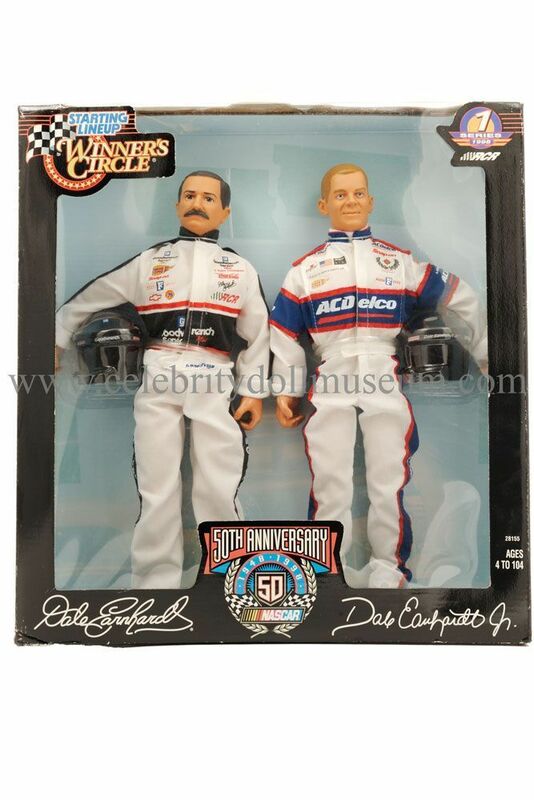 1998 was a good year for the Earnhardts, Dale Jr. had just procured the No. 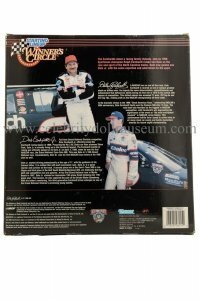 3 AC Delco Car and won his first NASCAR race, the Grand National Coca-Cola 300; while his father Dale Sr. won the Daytona 500 after nineteen tries. 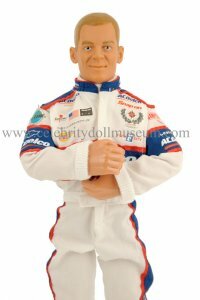 Sadly Dale Earnhardt, Sr. died in a crash on the final lap of the 2001 Daytona 500. Dale Jr.’s career has included the 1998 and 1999 Busch Series Chapion and winning the 2004 Daytona 500. 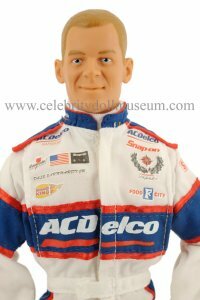 He was also named NASCAR Most Popular Driver from 2003-2009. 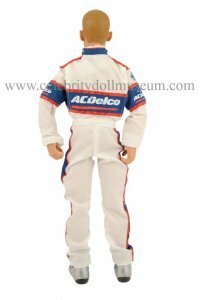 The doll is fully articulated at ankles, knees, hips, waist, shoulders, elbows, and wrists. The head only moves side to side. 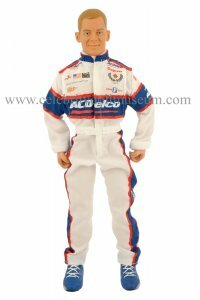 It comes outfitted in a endorsement covered white one piece racing suit with blue racing boots, but no socks or underclothes. 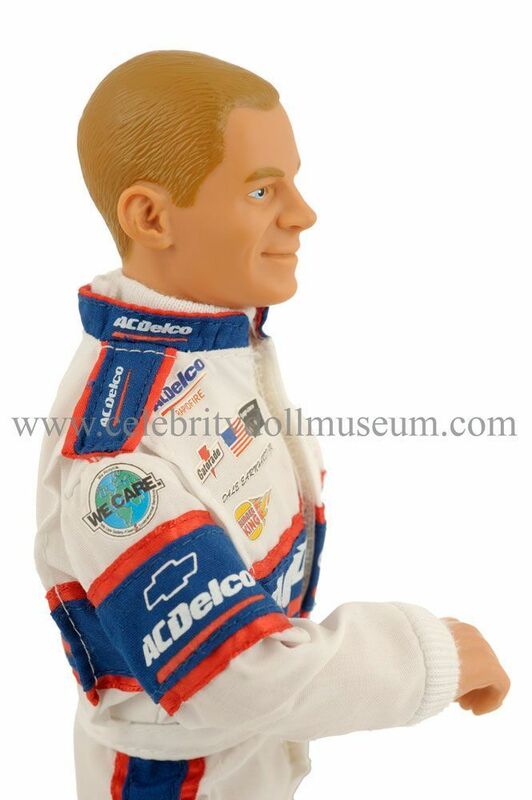 It does have a white knit turtleneck dickie under the collar of the suit. 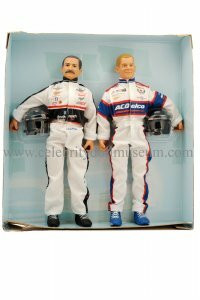 Accessories include a black racing helmet with Dale Earnhardt, Jr. and sponsor decals on it. 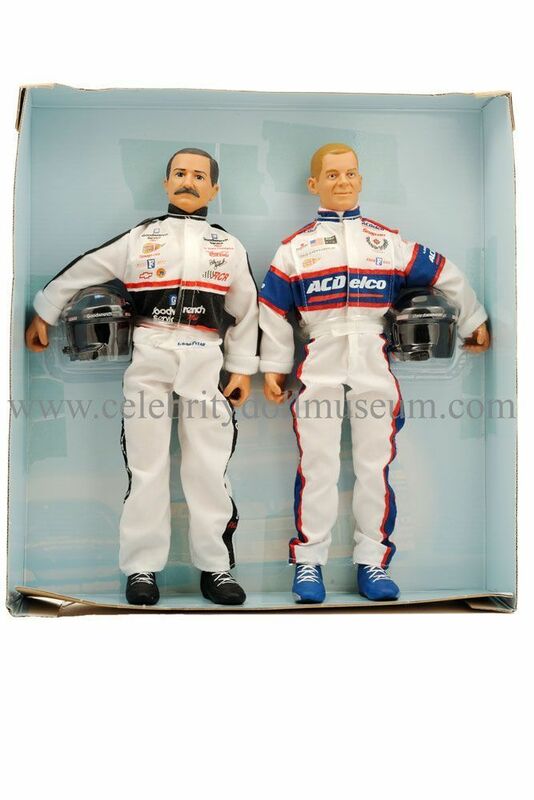 Whats the price on the set still in the box never open ? 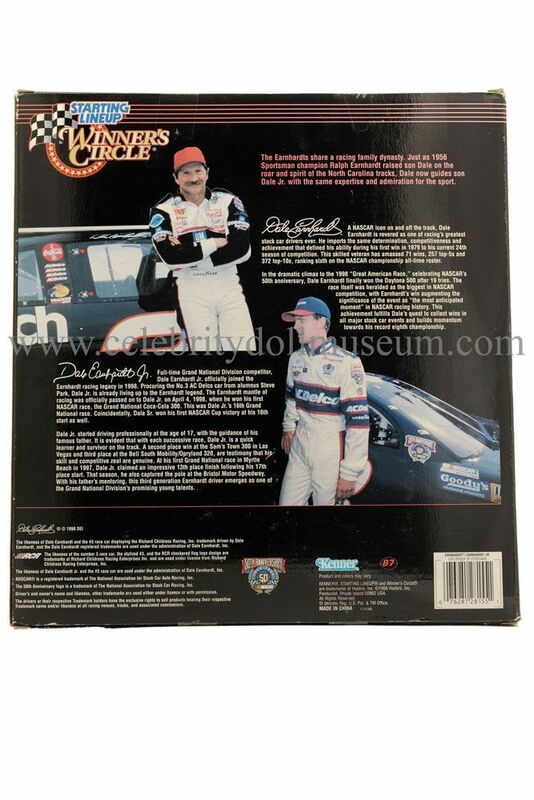 I paid $14 for the never removed from box set in excellent condition last October. 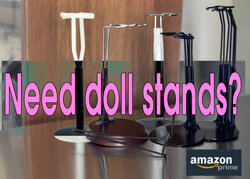 It’s best to watch Ebay. 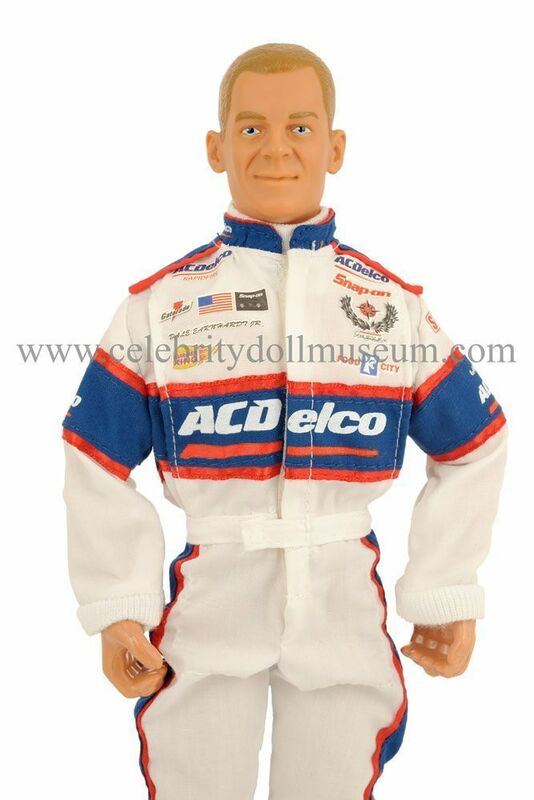 Serena Williams Dale Earnhardt, Sr.